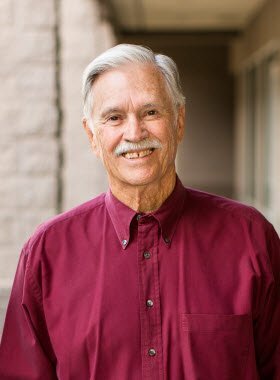 Chuck graduated with honors and High Distinction from the University of Arizona in 1969 with a B.S. in Business Administration. He is a retired United States Air Force officer and pilot who has lived in Arizona since 1978. Chuck opened a brokerage firm in Mesa in 1983, became an SEC registered Investment Advisor in 1984, and formed Delta Ventures Financial Counsel, Inc., a FEE FOR SERVICE investment management and financial planning firm, in 1994. He has taught “Basic Investing and Financial Management” at the local community college. After almost 30 years, including more than a decade of successful business partnership with Neal Van Zutphen, Chuck transitioned from co-owner to now serving as Investment Committee Member of Intrinsic Wealth Counsel, Inc.
Chuck has two grown children, four grandchildren, and two great-grandchildren. Chuck and his lovely wife enjoy the solitude of desert living, hiking, flying his own antique airplane, and playing golf.